The great thing about baseball is there’s a crisis every day. There is no such thing as second place. Either you’re first or you’re nothing. Gabriel Howard Paul was born in Rochester, New York, USA. 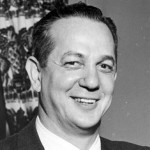 He was an American executive in Major League Baseball who served as general manager of the Cincinnati Reds, Houston Colt .45s, Cleveland Indians and New York Yankees. He also served as president of the Indians and Yankees.